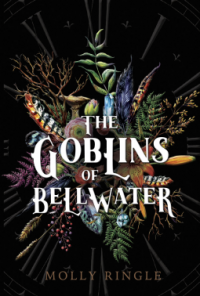 The Goblins of Bellwater - Molly Ringle - review - Susana "Lost in Fantasy Land"
Here's my two cents about this book: I normally don't fall for a book that is being hyped; in fact I normally go the other way, because I'm stubborn and I don't like media telling me what I should read. ... not a good decision. Going by the title, and with goblins to the mix, I was hoping for something dark, urban fantasy type. Which I didn't get, because this is actually a new adult story with _poorly_ developed traces of paranormal. Unfortunately once again it seems that the new adult genre is synonymous to very basic writing, stupid and underdeveloped characters and a plot that is only there to get the characters together. Like I said, the characters are so undeveloped that when the author decides to create two couples and having them perform sexual acts; the thing reads as awkward and uncomfortable as this phrase. 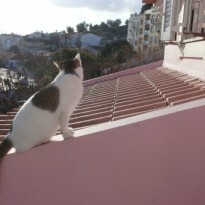 They feel as puppets, and maybe that was what the author was reaching for, but she forgot their souls! In forgetting that, the whole thing reads as an awkward and boring story about four _ really uninspired _ people.